"The Tales Series is back with a darker, more mature story - but has anything really changed?" To refer to the oft-cited Confucius quote, "Before you embark on a journey of revenge, first dig two graves." Or, in the case of Velvet Crowe, protagonist and anti-hero of Tales of Berseria, dig a lot of graves. A quest for revenge is always laden with sorrow, and such is the case in the latest installment of the Tales series. Unlike previous installments, Berseria seems set on making itself stand out by its serious subject matter. Gone are the cast of plucky do-gooders from past games. Instead you get Velvet Crowe, a woman who was mutilated and transformed into a demon against her will and imprisoned three years prior to the game's beginning. Velvet breaks out of her confinement and embarks on a bloody trail of revenge against those responsible for both her state and her brother's murder. As the story develops, she is aided on her quest by a varied cast of companions including a demon, an exorcist, a bloodthirsty pirate, and more. 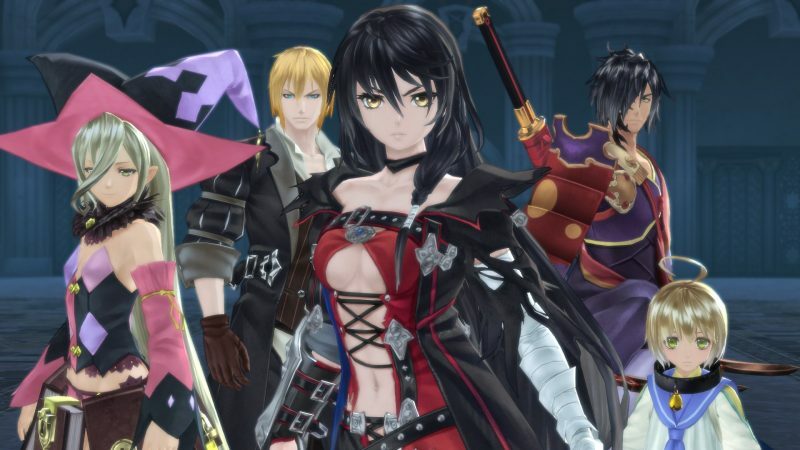 From the get-go, fans of the series will immediately recognize the way in which Tales of Berseria sets itself apart from its predecessors in terms of story. It's darker, more violent, and more mature than the games that came before it. The cast is less a band of likable heroes out to save the world. This time we get a gang of morally ambiguous killers drawn together by chance. It's an abrupt change considering the series' usual attachment to standard JRPG tropes such as brave teenagers saving the world. [caption id="attachment_93239" align="aligncenter" width="800"] One of the games' many, many skits. [/caption] That isn't to say the game is totally lacking in levity. The cast is flawed but likable and memorable, and the series' ever-present "skits" provide a lot of room for character development in both serious and humorous ways. The story is a huge step up from the previous game, Tales of Zestiria, in both plot and character. Those turned off by Zestiria's bland cast and generic story can find a lot to love here. Visually, it's a Tales game. They all look similar enough in terms of art, and the same can be said here. While certainly not a cutting-edge game, it looks nice enough and some areas are creatively designed. Much of the game however will feel familiar to fans of the series. The game doesn't have a traditional overworld or dungeons. 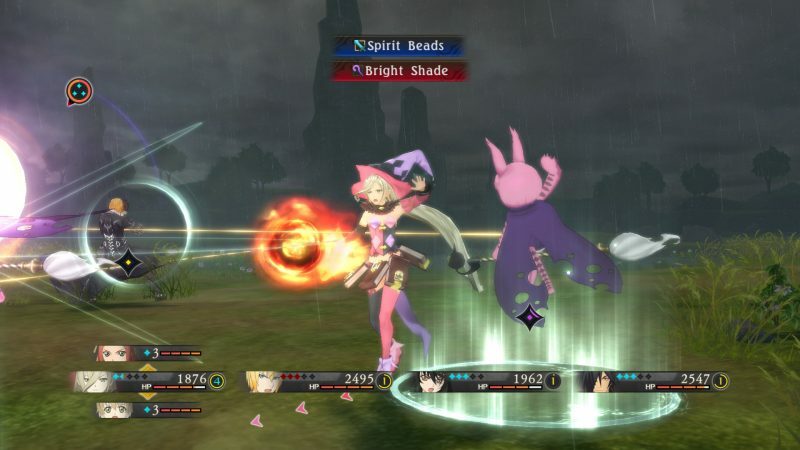 Instead it's more like Tales of Xillia, with smaller interconnected maps containing towns, dungeons, and what serves for field sections. Unfortunately, those areas get a lot of mileage since many quests require tracking back and forth across areas multiple times. While it isn't hugely apparent if you stick to the main story, completionists may have to be prepared for a lot of running back and forth through drab environments. Fortunately, the things you do in the environments are excellent, so the core of the game remains solid. The gameplay in Tales of Berseria is about what you'd expect from the series. There's some big refinements and smaller changes that make it feel fresh and familiar at the same time. It has the series' trademark real-time battle system, wherein players who encounter enemies are dropped into a "battle zone", an arena where they are free to move and attack in real-time using physical attacks and magical "artes". Berseria shakes up the formula a bit by adding free range of motion and camera control. Where other games locked players into linear combat with a single enemy, they're now free to move around the field and attack at will. It's a step farther in making Tales combat feel more like a hack-and-slash game and less like traditional combat used in many JRPGs. [caption id="attachment_93236" align="aligncenter" width="800"] A typical hectic and flashy combat encounter. [/caption] One big change is the new "Soul Gauge", the game's replacement for the traditional technical points or mana bar. Special attacks drain the soul gauge, which is replenished over time or replenished by souls dropped from enemies. At any time in battle enemies and players are able to steal souls from one another. It adds a new strategic element beyond just managing resources for special attacks. When the Soul Gauge is filled, characters activate "Break Souls", where characters are given buffs and new effects in combat. Combat feels slick, punchy, and satisfying. The ever-present ability to swap out party members in battle and in the field means it's easy to keep the combat feeling interesting for large chunks of the game. Unfortunately, like many Tales games, Berseria suffers towards the end. The combat is enjoyable enough, but by the end it can feel like a grind where you're just mashing buttons. Combat can be way too easy with overpowered characters demolishing underpowered enemies). It can also be too grindy where opponents have way more health than they should). By that point your investment in the characters and story are enough to pull you along. I found myself actively avoiding enemies rather than trying to fight them for experience by the end of the game. Another issue is the camera. Like in Tales of Zestiria, the battle zones where players fight are essentially just circles drawn on the map where the player encounters an enemy. It's easy to accidentally create battle zones with wonky cameras, cramped spaces, or even half of the zone being inaccessible. It was a major issue in Zestiria and is improved here, but still a pain when it happens. [caption id="attachment_93238" align="aligncenter" width="800"] Velvet Crowe and her (literally) colorful band of companions. 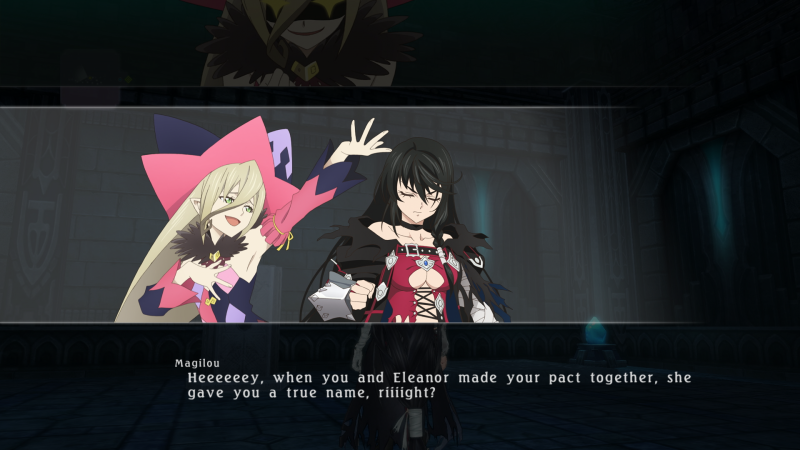 [/caption] Tales of Berseria is another Tales game, and whether or not that's a good thing entirely depends on how much someone has enjoyed past games. It refines some of the series' strengths and brings out a more compelling plot and interesting characters. However at its heart it remains similar to its predecessors. It's a wonderful game, and a great return to form after the disappointing Zestiria. Fans of the series can find a lot to love here. Even newcomers can also get behind the satisfying combat and the darker, more interesting plot.